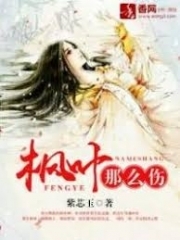 You’re reading novel Trial Marriage Husband: Need to Work Hard Chapter 256 online at LightNovelFree.com. Please use the follow button to get notification about the latest chapter next time when you visit LightNovelFree.com. Use F11 button to read novel in full-screen(PC only). Drop by anytime you want to read free – fast – latest novel. It’s great if you could leave a comment, share your opinion about the new chapters, new novel with others on the internet. We’ll do our best to bring you the finest, latest novel everyday. Enjoy! "However, I accept the challenge!" Within Hai Rui, Zhen Manni couldn't play any tricks. But, it didn't mean she couldn't do anything in private. Since Mo Ting had returned Charlene to her side, she could send Charlene out to do her dirty deeds. If they were to be caught, she'd deny it to the end. Apart from showing Huo Jingjing she had picked the wrong side, Zhen Manni made a move on her because she wanted her to know Tangning had no status in Hai Rui; no matter what dirty underhanded schemes Tangning used to make Mo Ting her manager, it was impossible for Tangning to surpa.s.s her status! "The President already knows about this incident..." Lu Che explained. "Madam, President won't let this slide!" Mo Ting had always detested those that schemed behind people's backs. Not to mention, the incident this time had happened right under his nose. It didn't matter that the person involved was Zhen Manni, even if it was someone else, he still would not let them off. "The media are currently defaming her and Fang Yu. In order not to let the media make up stories about domestic violence, she is currently hiding out at home. Her manager is taking care of her," Lu Che explained. "Has she seen a doctor?" Tangning hung up the phone and gave her husband a phone call, "Ting..."
Mo Ting held his phone to his ear. Tangning's voice sounded anxious with a trace of anger. So, he responded, "I am already dealing with it. As for Huo Jingjing, Fang Yu has already organized for a doctor to see her, don't worry." "I trust you. However, I really want to go see her!" Tangning gradually calmed down. "Wait for me to finish some stuff off. I'll go with you," Mo Ting said gently. "Later tonight, I'll come home and pick you up..."
"OK, I'll wait for you." After Tangning hung up, Mo Ting put down his phone. A bone-chilling glare lit up his eyes as he slammed his hands on the table in front of him. He then looked up to face Fang Yu and instructed, "Give her an eye for an eye, a tooth for a tooth." As soon as Fang Yu heard this he was shocked. But, he couldn't deny that this was Mo Ting - the true Mo Ting; the Mo Ting with an undeniable ruthlessness. Only in front of Tangning did he soften himself. So, when it came to Zhen Manni...he wasn't going to go easy on her. Even if she was a woman! "However, don't make a move until after Hai Rui's celebration dinner." Fang Yu roughly planned out his moves in his mind before nodding his head and leaving Mo Ting's office. 7pm. Mo Ting returned home right on time. Seeing Tangning lazing on the sofa with an unhappy expression, he stretched out his hand and gently stroked her hair. Tangning lifted her head to look at Mo Ting and gave a relieved smile. Because, with him around, she was sure everything would be OK.
Not long after, they arrived outside Huo Jingjing's apartment. However, the reporters were everywhere and Tangning couldn't find a place to get out of the car. Originally, Long Jie wanted to get out first and provide cover for Tangning. However...Mo Ting who was sitting next to Tangning suddenly offered, "Let me do it." Long Jie understood and quickly made s.p.a.ce for the couple by moving to the side. Upon seeing Long Jie, the reporters immediately knew who was inside the car, so they furiously started snapping photos at the car door. However, as Mo Ting's head appeared, his cold and handsome face sent a freezing chill in all directions. The originally snap-happy reporters swiftly took a few steps back as they grabbed onto each other's arms and whispered, "Stop taking photos..."
Afterwards, Mo Ting escorted Tangning out of the car and into Huo Jingjing's apartment. rs would risk being closed down. "It's so unfair that Tangning has President Mo as her manager. Whenever we want to take photos, we need to be wary of President Mo's mood." "That's why I think Tangning will win her battle with Zhen Manni." "Regardless, we have a good show to watch soon, let's just wait. Since President Mo has arrived, we should stop taking photos. If we anger him, none of us will want to face the consequences." The reporters discussed amongst themselves. Although they all wanted to capture a huge scoop, they were wary of Mo Ting. Not long after, Tangnign arrived at Huo Jingjing's front door and gave it a knock. Huo Jingjing's manager was cautious as she questioned their ident.i.ties from behind the door. After Tangning identified herself, the door slowly opened and Huo Jingjing's manager invited them inside. Upon seeing Mo Ting, Huo Jingjing's manager started crying without saying anything. Tangning understood as she quickly ushered her into the bathroom to compose herself. As Huo Jingjing was hiding in her bedroom, Mo Ting did not go inside. Tangning grabbed a gla.s.s of water from the kitchen and handed it to Mo Ting. After ensuring that he'd be alright on his own, she entered Huo Jingjing's bedroom. "Why are you here?" Huo Jingjing desperately tried to cover her face, but Tangning held onto her arm. "In front of me, what do you have to hide?" Tangning's eyes slowly turned red. "I warned you not to get involved, yet you didn't listen! Don't you know I have Mo Ting to protect me?" "There's no point talking about this now." Not long after, Mo Ting appeared behind the two women. After taking a quick glance at Huo Jingjing, he said to Tangning, "You go out first, I have something to say to Huo Jingjing." Tangning looked at Mo Ting confusedly. But, Mo Ting gave her a rea.s.suring look. So she nodded her head and stood up. Facing Mo Ting on her own, Huo Jingjing felt a little nervous. She wanted to sit up, but Mo Ting stopped her, "Just stay there." "May I ask what President Mo wants to speak to me about?" Mo Ting had an icy-cold vibe as he spun the wedding ring on his finger, "If you truly had good intentions for Tangning, you shouldn't have created a mess like this to make her worry." "President Mo, I'm sure you understand why I had to intensify their battle." "Did you think I would hurt Tangning in order to show fairness in Hai Rui? I don't put up a fake facade like that..." Mo Ting replied, "So, it's not necessary for you to test me by sacrificing yourself." "I simply hope that Tangning's marriage was worth it." "Whether it's worth it, is a matter between us. As for what I decide to do, I don't need to report to you. Seeing you are true to Tangning, I won't make a fuss about it, but...don't ever sacrifice yourself like this again. Hurting yourself is truly not worth it." After speaking, Mo Ting stood up, left Huo Jingjing's room and returned to Tangning's side. Tangning stood up from the sofa and smiled. She could roughly guess what Mo Ting talked to Huo Jingjing about. "At the celebration dinner, I will definitely be strong for your sake," Tangning said in a serious tone. 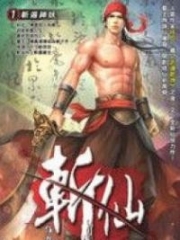 You're reading novel Trial Marriage Husband: Need to Work Hard Chapter 256 online at LightNovelFree.com. You can use the follow function to bookmark your favorite novel ( Only for registered users ). If you find any errors ( broken links, can't load photos, etc.. ), Please let us know so we can fix it as soon as possible. And when you start a conversation or debate about a certain topic with other people, please do not offend them just because you don't like their opinions. You're reading Trial Marriage Husband: Need to Work Hard Chapter 256. This novel has been translated by Updating. Author: Passion Honey, 百香蜜 already has 5707 views. Current Time is Apr-24-2019 00:02:35 AM.